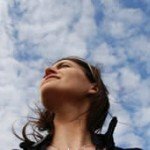 Comprehensive review of Mystic Tan Sunless Tanning Lotion. See what the experts and actual users have to say about this self tanning product. 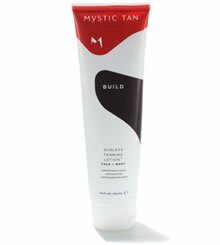 Mystic Tan Sunless Tanning Lotion works pretty well as a “basic” self tanner. It’s pretty easy to apply, dries in a reasonable amount of time, and gives a decent bronze color once it’s developed. However, this product does have a bit of that ‘self tanner’ smell that so many people want to avoid. But overall, this is a good product that falls in the middle between lower-end drugstore brands and higher-end department store brands. Mystic Tan Sunless Tanning Lotion comes out of the tube as a medium brown colored lotion. It feels a little greasy, but not too bad. This product wasn’t too difficult to apply. It blends in pretty well and has a slight tint or guide to it. It doesn’t get all over everything like many self tanners that have tint or guide color in them. 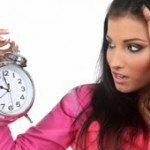 The drying time on Mystic Tan Sunless Tanning Lotion is about average. Because it’s a lotion, it does take longer than quick drying gels and mousses. But overall the drying time is fine. And on the plus side it doesn’t get all over your sheets. The next day the smell had mostly disappeared. Unfortunately, the DHA smell did not. Mystic Tan Sunless Tanning Lotion produces a nice, medium shade of bronze. It’s not light, but it’s also not super dark. If you like your tan right in the middle, this may be a good product for you! Mystic Tan’s product lasts for about 3-5 days, depending on how much you moisturize. This isn’t a bad choice for guys. The smell might bother you a little, but the medium color will look good on most guys. Mystic Tan Sunless Tanning Lotion costs $19.50 for a 5 ounce bottle. That works out to $3.90 per ounce, which falls near the middle of what most self tanners are priced at. To buy Mystic Tan Sunless Tanning Lotion, click here.